Scott The Groom: I always knew that I wanted to wear black tie on the day, and after researching our theme for the day decided to extend black tie to everyone. Our wonderful guests weren’t phased by the dress code and looked incredible on the day. I wanted to find a way to still stand out and together with my good friend Simon who worked as a tailor for Charles Tyrwhitt I decided to go for a three piece shawl collar. I teamed the suit with a made to measure shirt from a local tailor, and double monk shoes from Russell and Bromley. 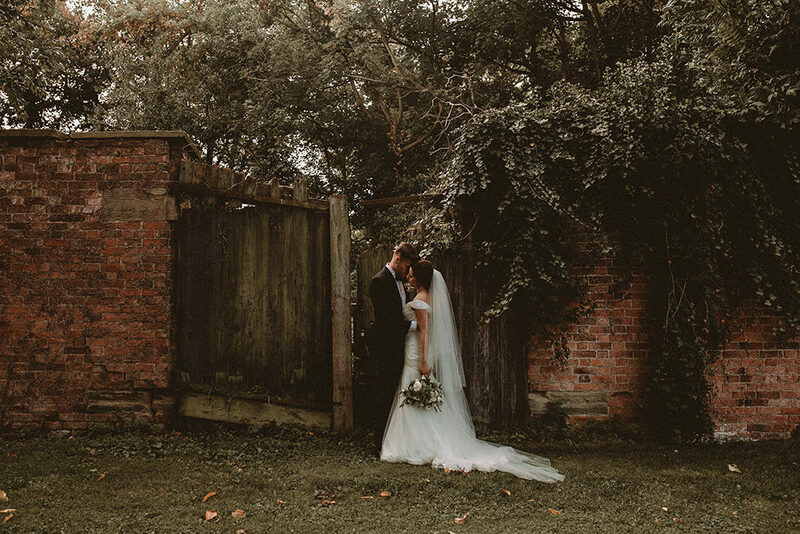 The venue for our ceremony was an easy decision – we chose to hold it at St Boniface Church in Bunbury. It followed on the journey from Christening to Confirmation to Wedding for Bethan, in the village that she grew up in. 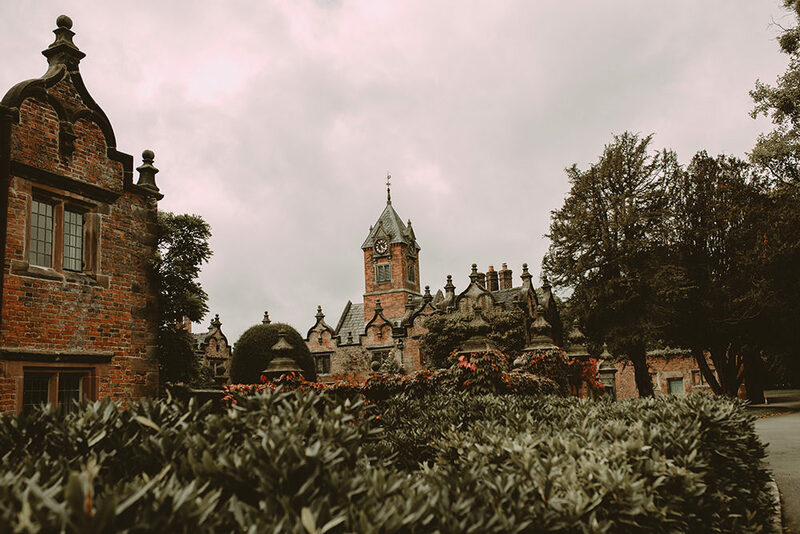 Less easy was the reception venue – we wanted somewhere that we hadn’t been to a wedding before, something that fitted our botanical black tie theme where we could celebrate the outdoors and almost make it home for the day. 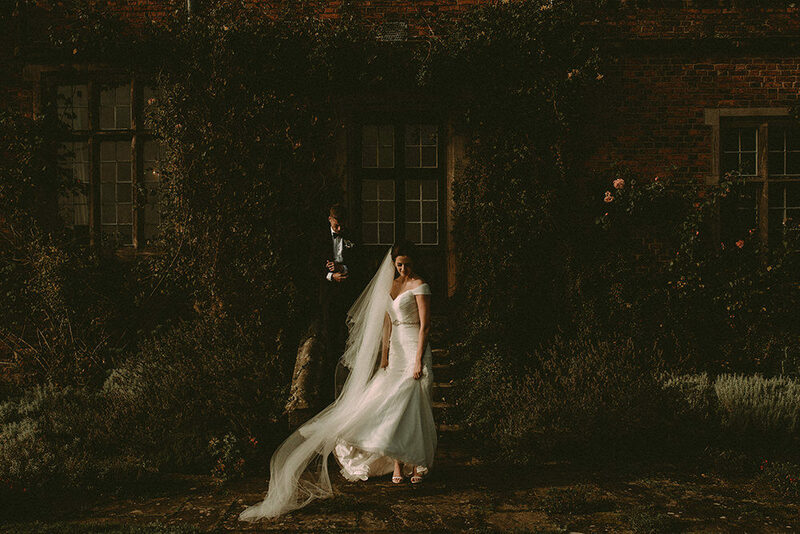 Then we found Dorfold Hall – so much more than a ‘wedding venue’. It might have been their first year but they surpassed every expectation tenfold, it was the venue of our dreams and somewhere we will forever go back to. of the elements with the luxury of the black tie – and for us it worked perfectly! It was really important for us to include local suppliers, people who were already part of our lives. Fresh are our local florists in the village that we live in – and they just got it! 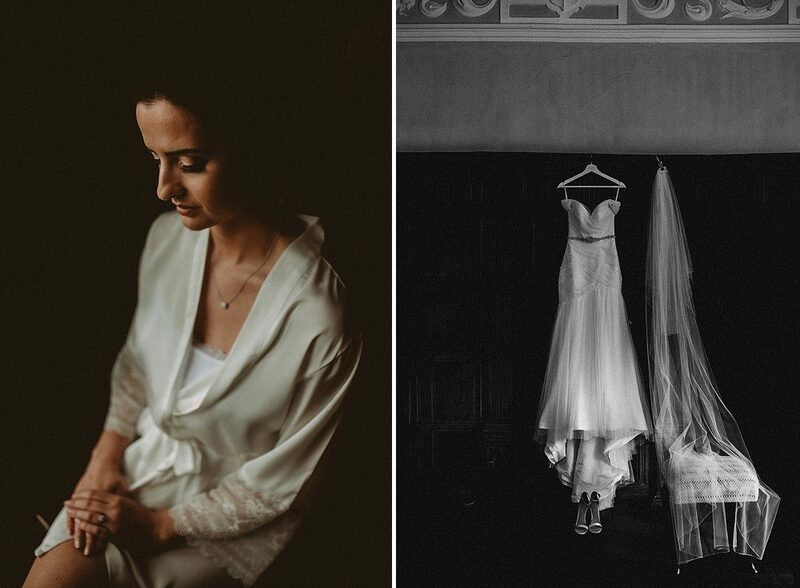 We loved sharing mood board sessions with them, and tasked them with bringing a little bit of Italy to Cheshire! 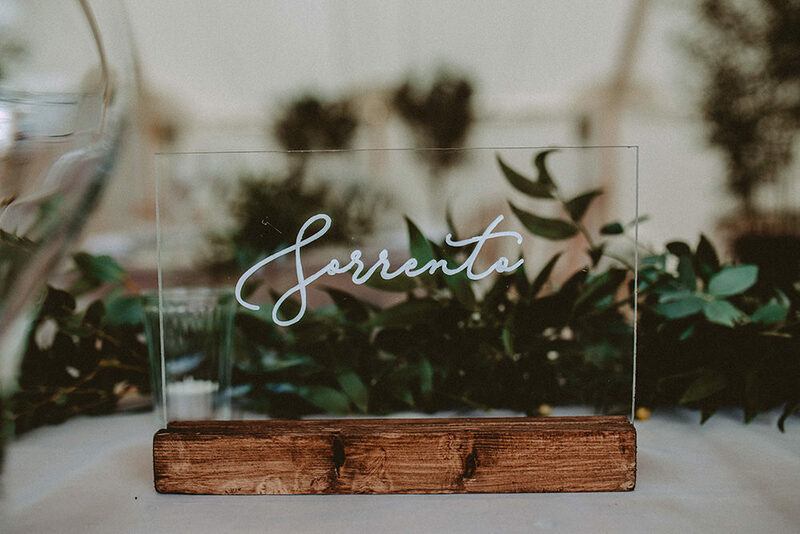 The beautiful olive branches were shipped in that week from Italy and will now always be a symbol of our day. 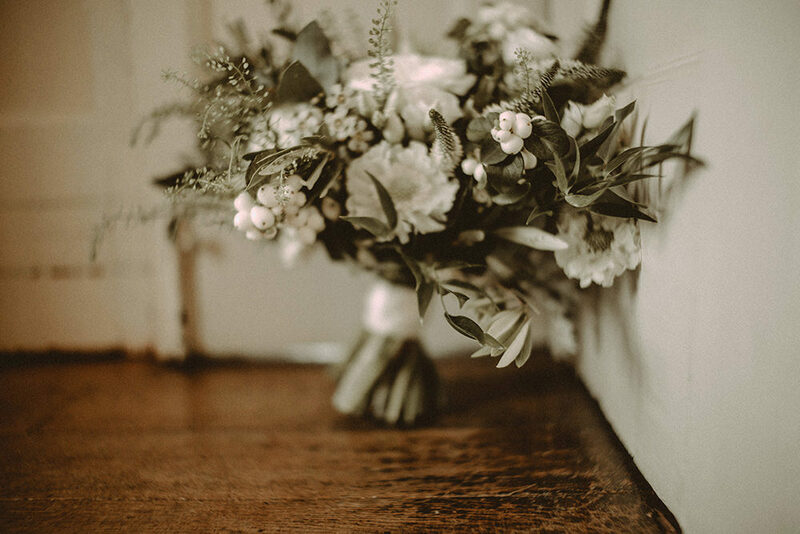 The Bridesmaids – I had the task of dressing my two sisters and after many shopping trips and countless online shopping sessions we found Ghost. We travelled to London to their flagship store and the service was amazing. We chose to go with their Oyster gown in style. They fitted the black tie/vintage Hollywood style that we were looking for perfectly. They accommodated both the needs of my sister and my sister in law who was 6 months pregnant on the day. They looked beautiful, and I think we chose well! 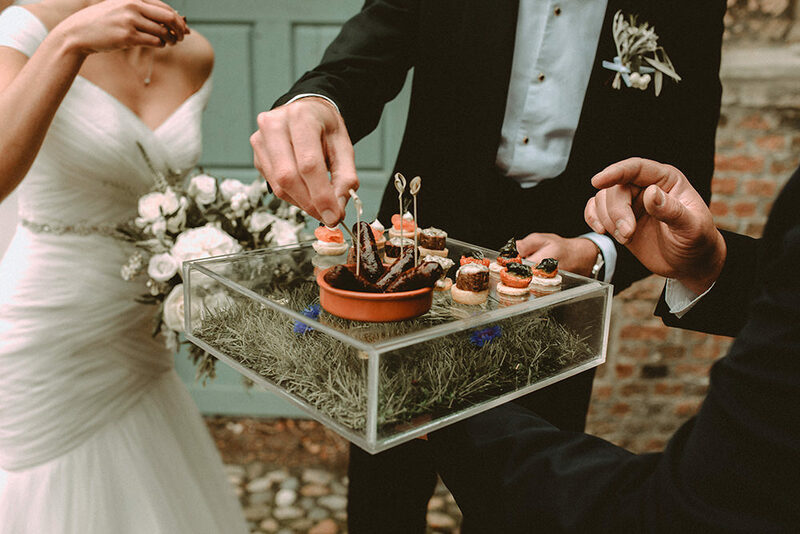 The Groomsmen – Staying with the theme of Black Tie, the groomsmen wore peak lapel suits to differentiate from the Groom, again from Charles Tyrwitt with bespoke cufflinks and buttonholes for detail. An unforgettable whirlwind! After our beautiful vintage Mercedes broke down carrying the bride and father of the bride to the church…a quick detour later and we were there….Late, and very nervous! I remember walking through the door and seeing our guests and the biggest sense of calm washed over me. We laughed, we cried, it wasn’t perfect, it was however perfect to us! We’ll never forget those happy faces as we left as husband and wife. We had four sets of entertainment throughout the day. Samantha Murphy was our beautiful ceremony singer, we then had acoustic musician Marc Oliver to entertain our guests at the champagne reception. After dinner we booked a band The Heights who set the dance floor alive and then finally our good friend Timmy Foxon closed the night on the decks. 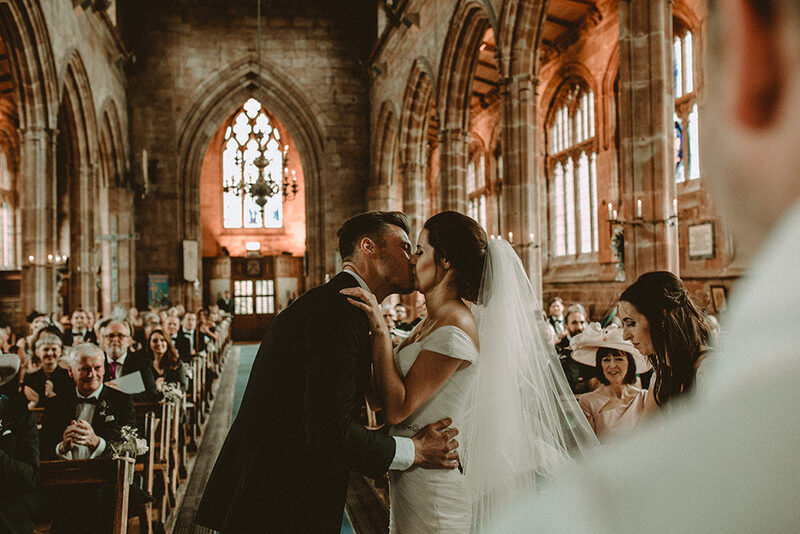 We are so glad we made a couple of last minute bookings – music was so important on the day and everyone did the most amazing job. Thinking of booking an extra musician? Do it! This was one of the most important aspects of the day for us – and an area that we didn’t want to cut back on. The Fine Dining Company are based locally to us both and were faultless from day one! 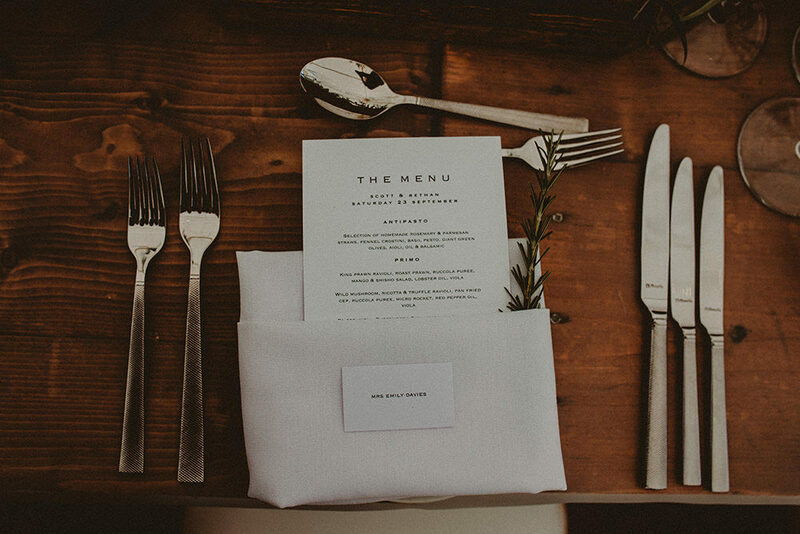 We were able to create our menu from scratch with the help of Rupert Worden and every little detail counted. They put on the most amazing tasting evening for us and our parents, and the food on the day was everything we dreamt of and more. Still to this day our guests talk about it – and that means the world to us! This one was a no brainer. I had spotted Carla Blain before we got engaged and heavily admired her photography work. 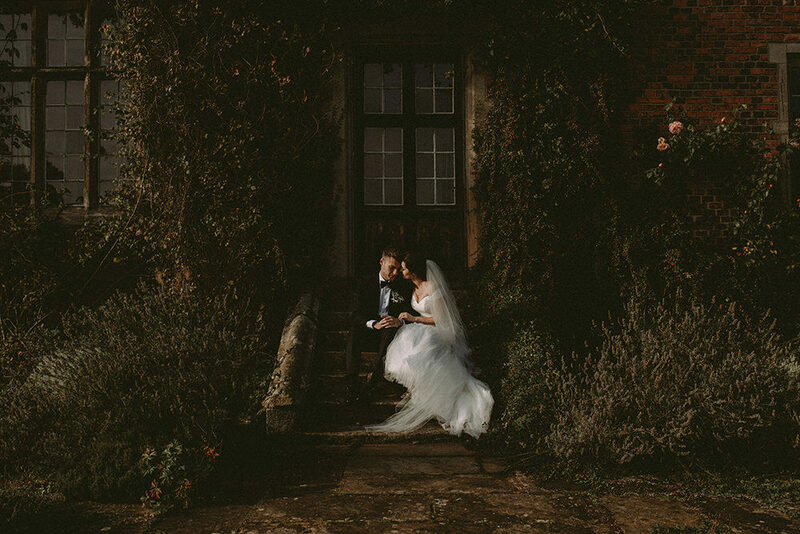 When the time came that we needed to start booking suppliers Carla was first on our list. From our engagement shoot, dressed in silk on a welsh mountain in the freezing rain…we knew just how talented she was, and how far she would go to create the perfect memories for us. 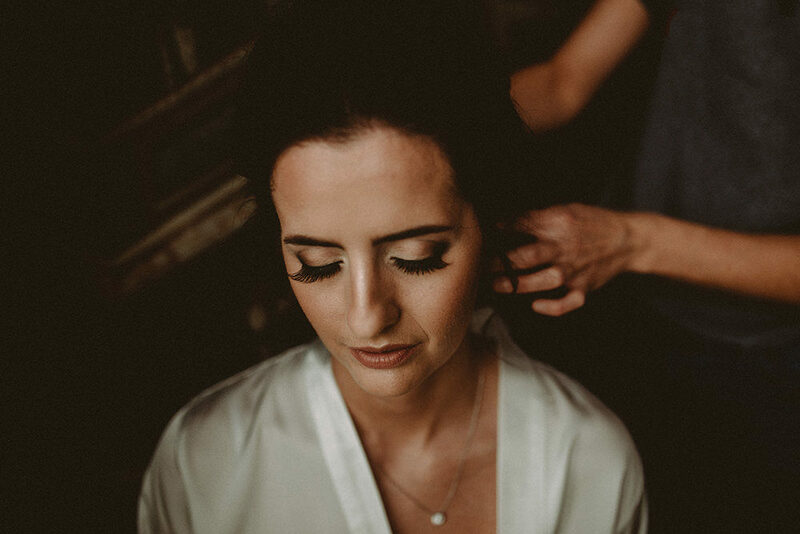 Our photos are everything, they capture moments we might have missed, they hold memories that will one day fade a little, and they bring together all of our favourite people in the world, on the most important day of our lives. She is unbelievable and we will be forever grateful. We chose to focus on photography over videography…however at the last minute had a little wobble thinking should we have booked someone? Carla came to the rescue and between herself and Agnes Black (second shooter) they captured video throughout the day that we now have as a beautiful mini film of our day. 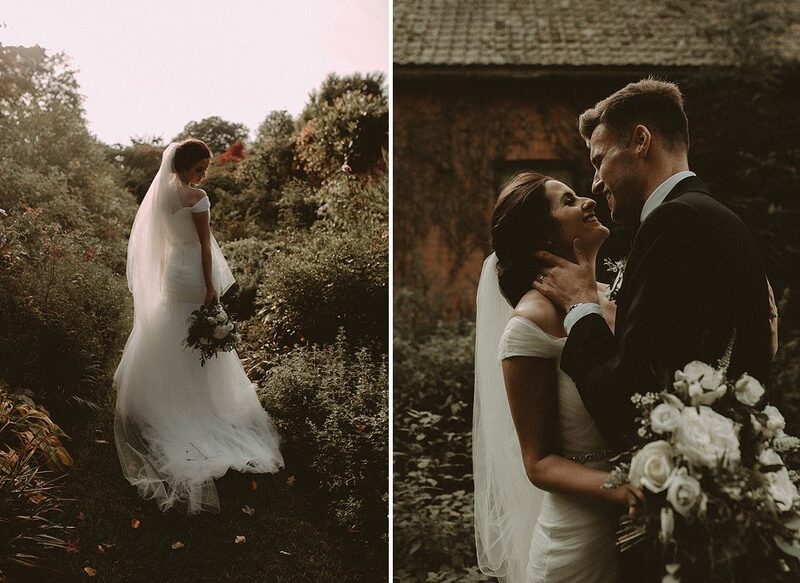 Love the warm tones and the intimate feeling of this wedding. Just beautiful!